Here at Simple Things there are a lot of things we love – ironstone platters, well-kerned lettering on an old label, washed linens, a quirky collection. 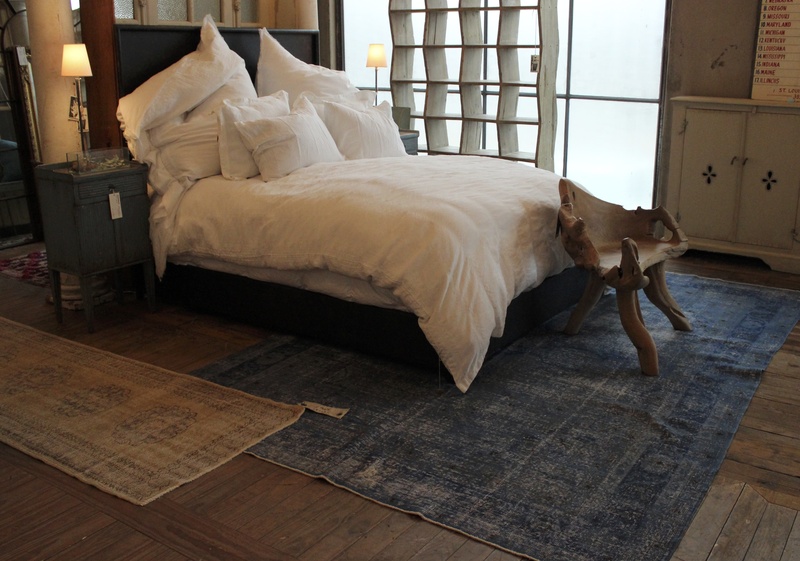 But there is one thing that goes beyond love, in fact, we are teetering on obsession here – it’s antique rugs. 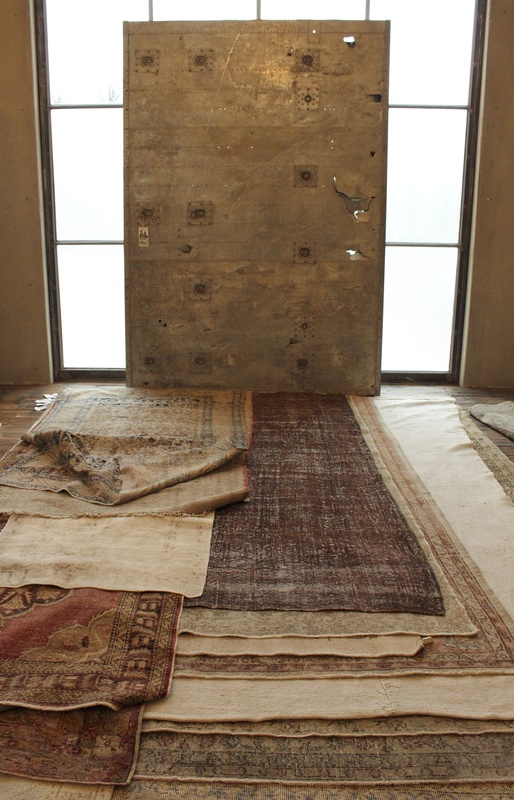 I know, we have a problem, but I know there are others like us – rug lovers. Maybe you’re one. A lot of people walk through the showroom and never look down. If they did, they might see a couple of our Dash and Albert rugs – crisp and clean and beautiful in their own right. But more often than not they would see an antique rug. These rugs are works of art – art that started out colorful and new, but after years of time and wear and sunlight they become perfect – faded, soft. 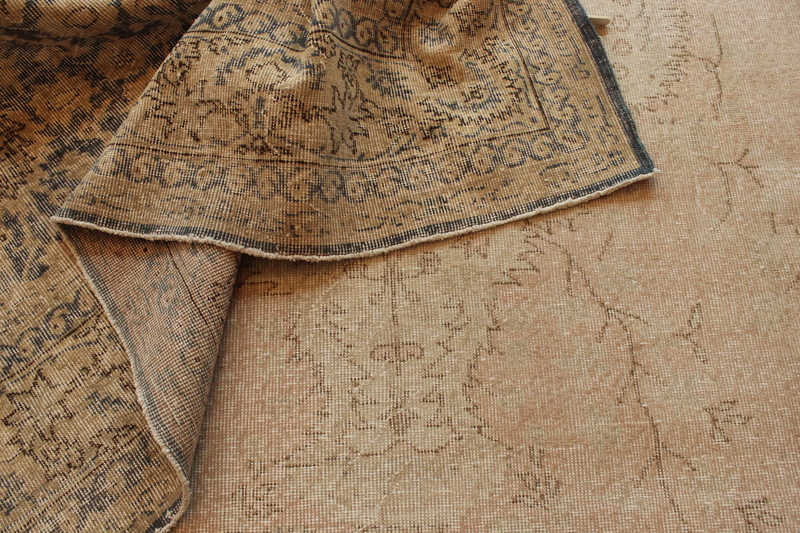 Left with little or no pile, these rugs are lay beautifully on a floor – flat and worn. They add instant history to a space. They all have a story to tell. 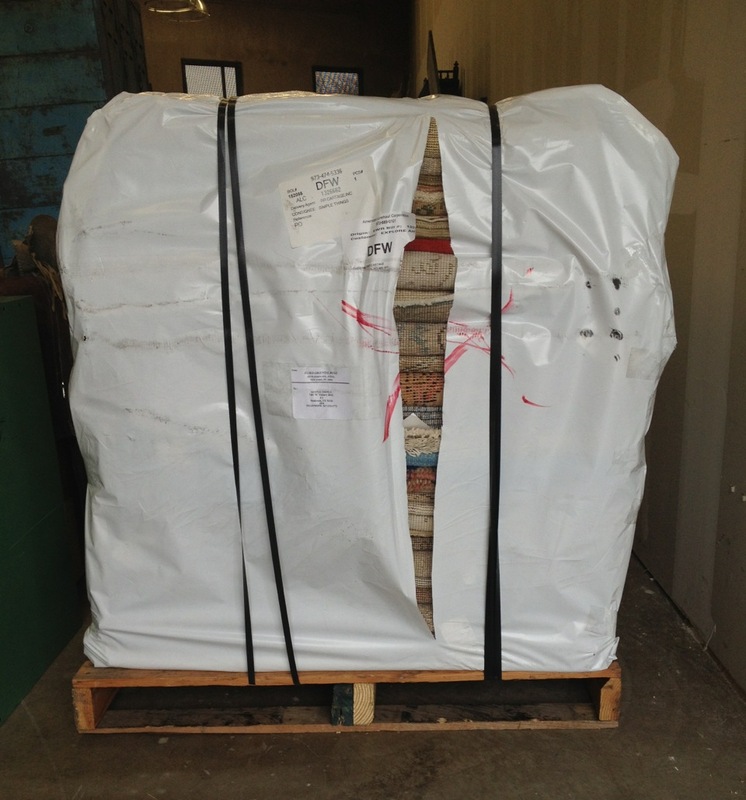 Anyway, a couple of times a year a very exciting thing happens that makes us rug geeks squeal with delight. 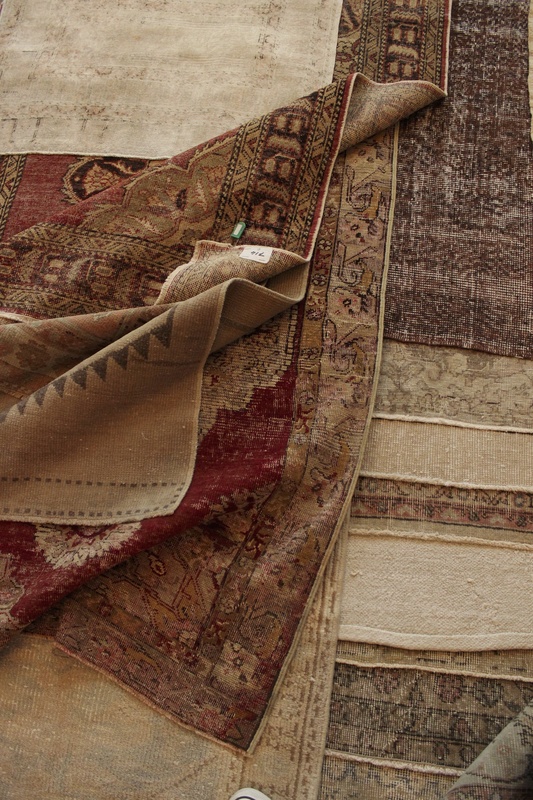 It’s the day our antique rugs arrive – the antique rugs that were meticulously chosen from thousands of rugs to come live at our store until they find their new home. That day has come. 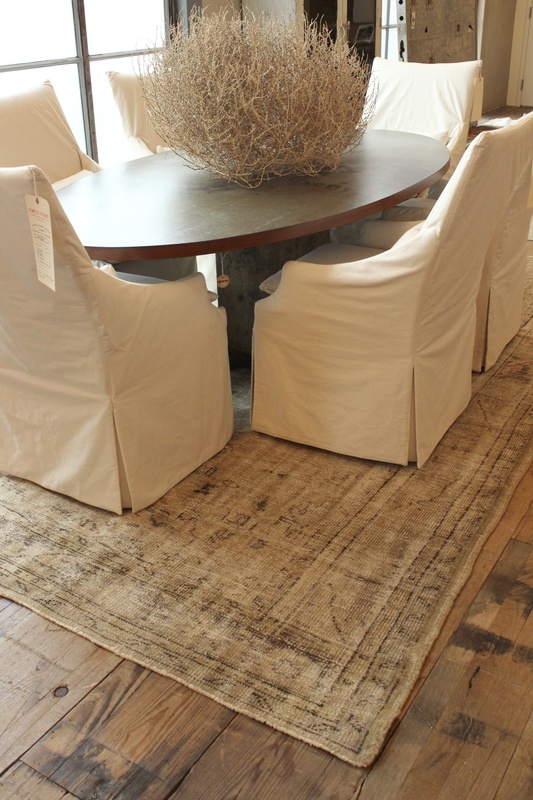 The rugs are unwrapped and pulled out one by one, carefully catalogued, tagged and placed out in the showroom. This is so much fun! Each rug has the ability to breathe new life into our vignettes – they pull together an area and ground the pieces of furniture so that they don’t just float alone on the floor. The rugs add warmth on a cold day like today. Some are colorful and add a pop to a dead corner, and some are neutral and quietly bring the furniture together. 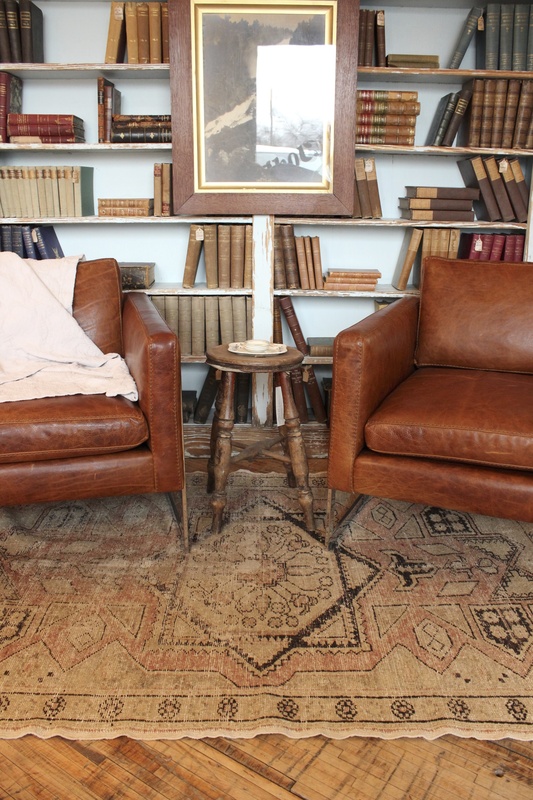 Their age and wear add a contrast to our new upholstered pieces giving the arrangement a sense of history. How is this relevant to you, you might ask. Well, a rug can serve this purpose in a home, too. They ground a room, pull everything together and give you a warm soft surface to set your feet on. They add a worn soft texture. You can get the same feeling we do when the rugs are set out. It’s hard to explain, but when we put our rugs out it feels like there had been something missing and we just couldn’t put our finger on it. It’s a relief. It’s a genuine ah-ha moment. We all love those. 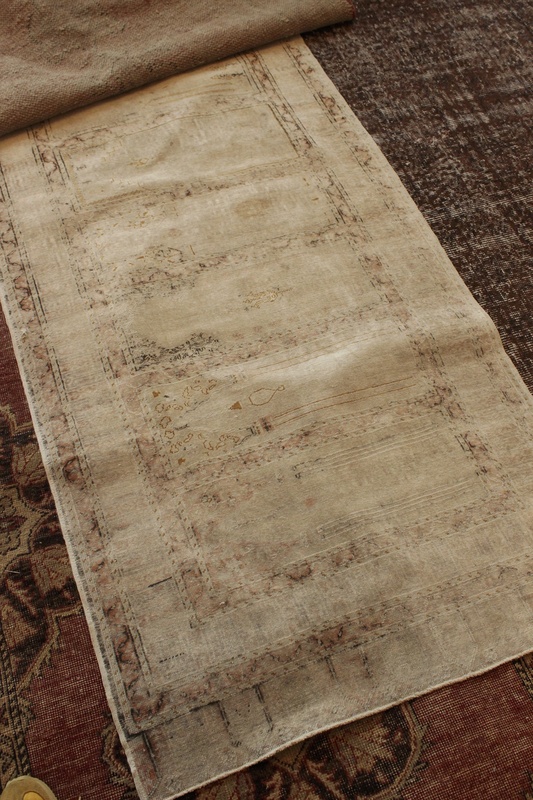 And one more thing – If you want to see more rug pics, check out the antique rug board on our pinterest page. Oh, and if you see something you like come by and see us, or call for more information. The blue rug is 10’8″ by 7’2″. It is priced at $3990. It is amazing ! Email us if you want more pictures.